Protecting your income, your home and your family has never been simpler. 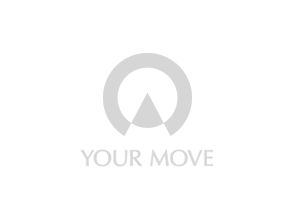 Your Move has partnered with Embrace Financial Services to offer you a range of insurance products that suit your needs and current situation, protecting you if the unexpected should happen. Embrace Financial Services financial advisers can find protection insurance products to suit you, as well as adapting the package if your situation changes. Personalisation – they have a range of benefits and options so you have flexibility as to when and how payouts are made. Choice – there’s just one simple application for all your chosen products PLUS interactive underwriting, so if you’re in good health you could be covered by the end of the first meeting. All these products are underwritten by Aviva, one of the UK’s biggest insurers. Designed to ensure your loved ones are financially covered should you pass away. Designed to pay out if you can’t work and suffer a loss of earnings due to illness or accidental injury. Please note for these insurance products terms and conditions apply. This information is a summary only. You will receive a full policy document upon application. This policy will set out the terms, conditions and limitations of cover provided under the plan.